about this book: Autumn is here and once again Halloween has descended upon the quaint upper Midwestern town of Oakdale, USA; however this year is different. 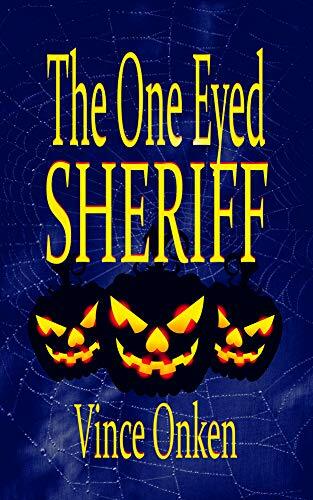 It's different because this time around marks the 20th Anniversary of the One Eyed Sheriff's return, and, when two teens from the school paper start checking into the local legend, before they know who to trust bad things happen in this twisty Halloween Horror Science Fiction Comedy. Ethan and Lauren are in search of the truth but because the One Eyed Sheriff allegedly only comes around every twenty years, each new generation has to be re-introduced to the possible danger. Of course the town has grown quite a bit over the decades and some of the newcomers don't know anything about him, whereas many long time residents have either forgotten or think the urban legend is just that, yet according to two old timers every twenty years for the last hundred years teens have gone missing on Halloween, never to be seen or heard from again. Is he real, or is he folklore? Either way "The One Eyed Sheriff" is a wild adventure that you won't soon forget.